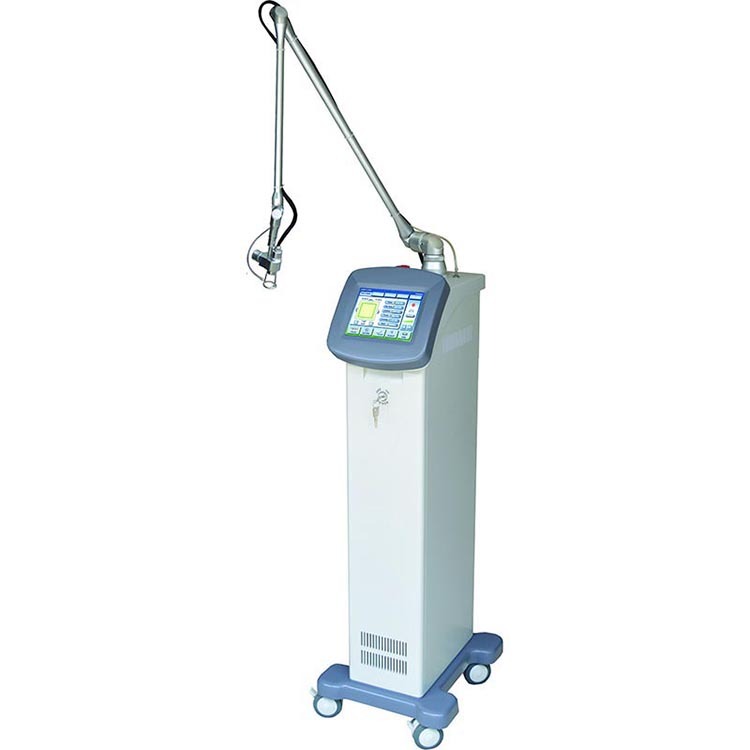 This machine adopts CO2 laser technology and precise control of the scan technology, using the CO2 laser’s heat penetrating action, in the guidance of the scan precise scanning, 0.12mm diameter thin minimally invasive aperture was formed by latticeshaped on the skin. Skin in the effect of the laser energy and heat, wrinkle or scar tissue was uniform gasified instantaneous and formed minimally invasive hole as the center of the microheating zone, so as to stimulate the skin synthesize a large number of new collagen tissue. and thus start the tissue repair, collagen rearrangement of a series of body's natural healing mechanisms. Fresh collagen random regenerate, make the treated area of skin becomes smooth, firm, elastic, pores shrink, wrinkle reduction , bags under the eyes disappear, the pigmentation disappear, superficial scar calm, skin texture and skin color gradually improved significantly. 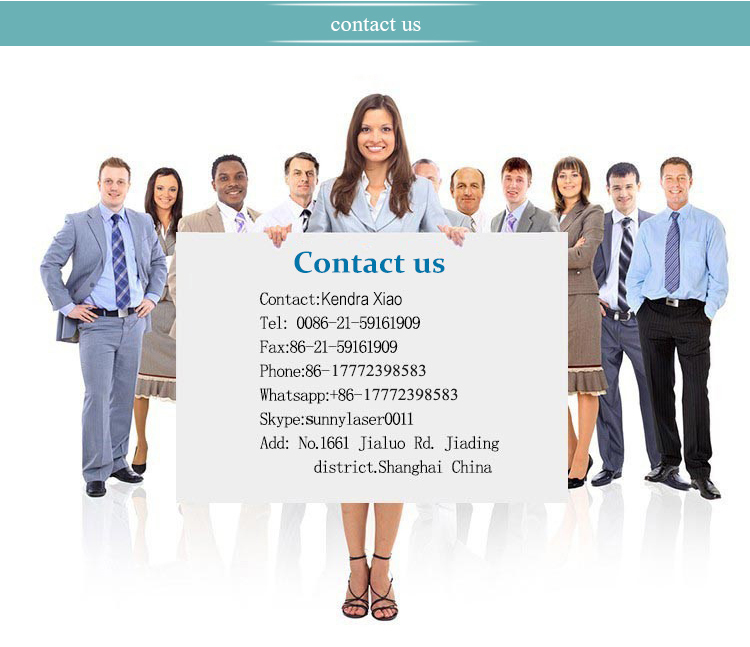 Cutting the extra tissue and remove mole, remove body odor, Facial cosmetology,body freckle,nevus,tumour,wart,skin cancer,the instrument can excise anything superfluous or useless in order to make strong and handsome and to prevent pathological changing. cervical erosion, Chronic cervicitis, cervical polyp, valvar angiofibromata, leukoplakia vulvae, excision uterus polyp, cervical carcinoma in situs, etc. Neck skin numbness, periarthritis, periarthritis of shoulder, arthritis, and inflammatory lumps, chronic ulcers, vasculitis, periarthritis of shoulder, soft tissue contusion, wound infection, use the beam expander exposure. 9.Others: Underarm odour, corn, ulcer. Condyloma acuminatum treatment;Aesthetics Surgery: skin rejuvenation, eyelift, facelift, etc. 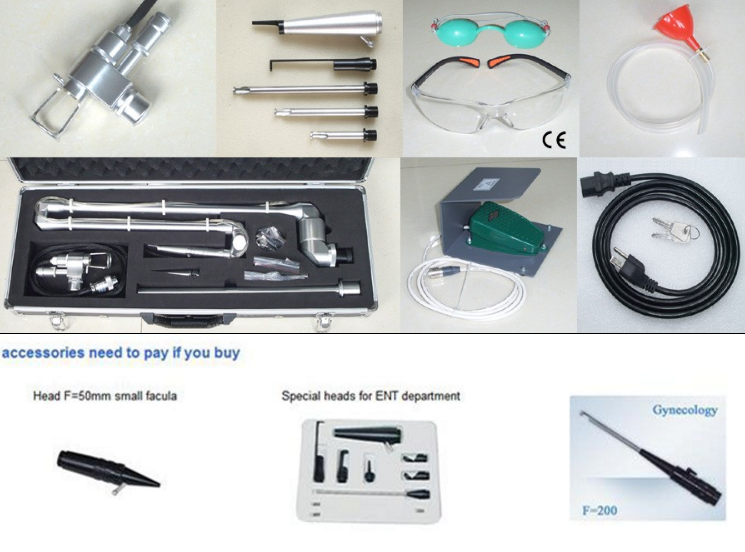 Sunny Optoelectronic Technology Co., Ltd mostly produces medical equipment, which are laser medical instruments, therapy beauty instruments and brain wave medical device. 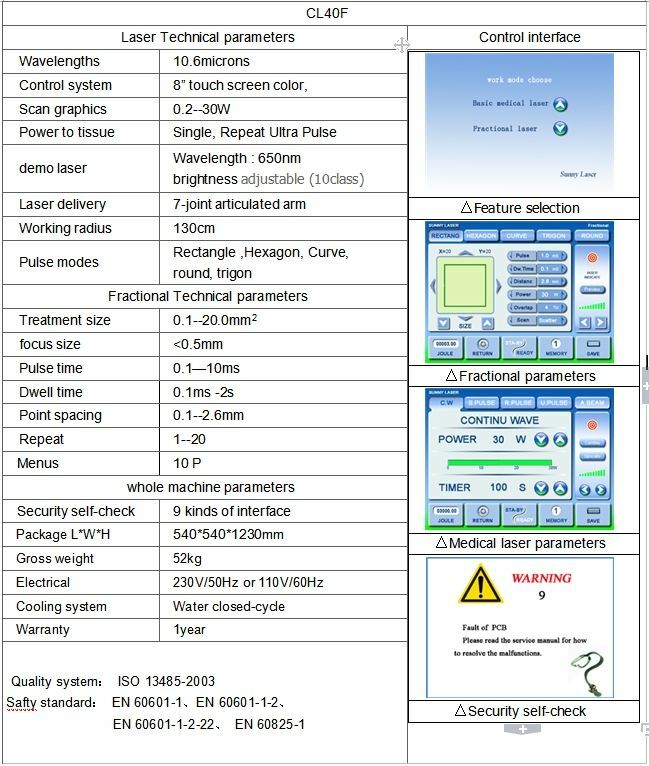 Our company has many years of history producing medical equipment.The chief engineer designed and produced the first YAG laser with optical fiber in China, which was approved science & technology certificate by Shanghai Municipal Science and Technology Commission in 1982. 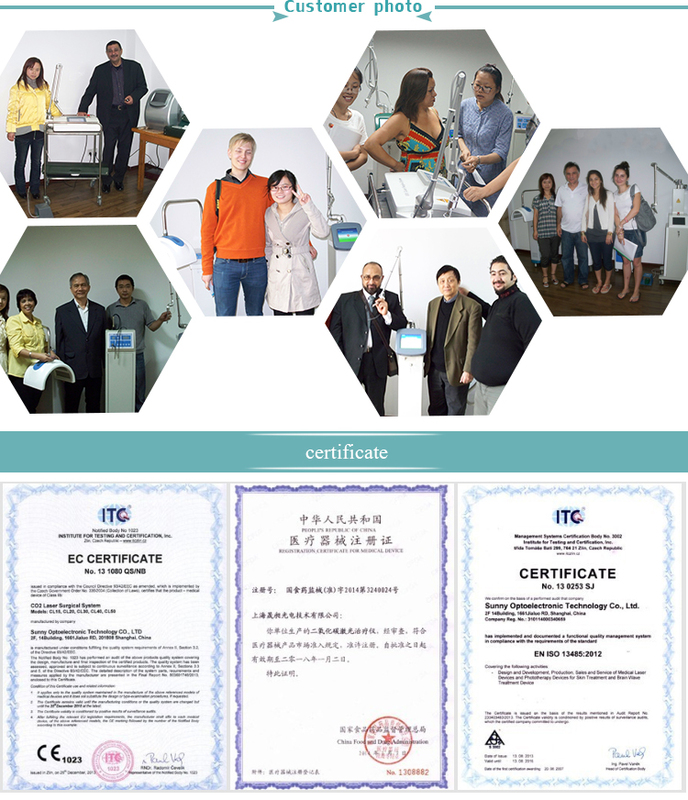 And some products of the company are also approved with patent certificate, the state's new product certificate, Science and Technology Exposition Gold Award honors separately. A: Yes, we have our own factory. 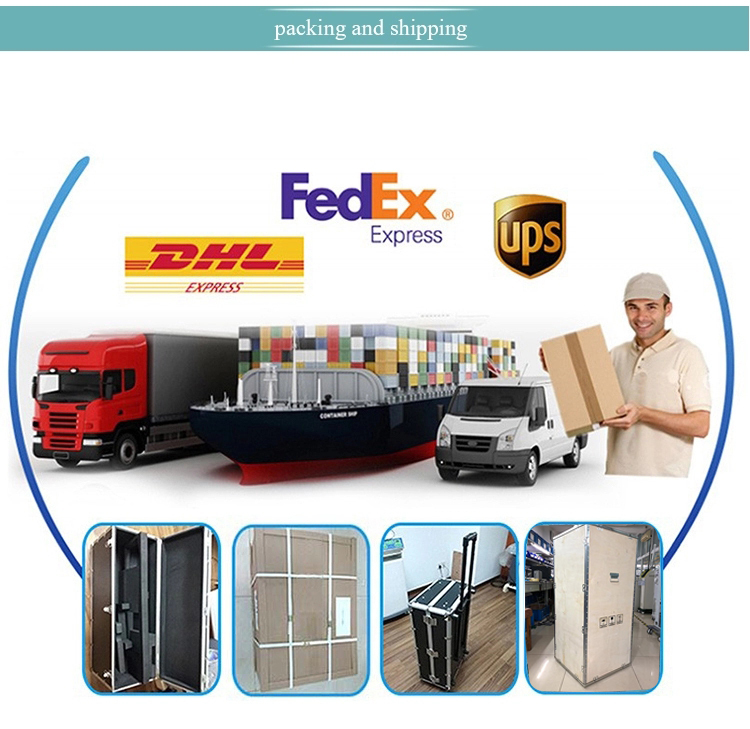 A: shipping by DHL,FedEx,TNT,etc. choose the way you like. Q:Which certificate do you have? Q: Which year are you company established in? A: Established in 1998,running more than 20 years.